The Jamestowne Houses in Southeast Wichita are residences that offer more than ordinary apartment living...it's like residing in a private home. Quality built and designed for privacy and comfort. 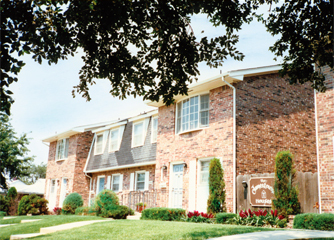 Jamestowne is ideally located in a quiet residential neighborhood. You can walk to shopping, restaurants and Via Christi Regional Medical Center-St. Joseph Campus. 2 bedrooms and family room townhome . . . . . . 1,500 sq. ft.
3 bedroom townhome . . . . . . . . . . . . . . . . . . . . . . 1,500 sq. ft.